Diu offers a blend of culture, traditions, history and a pinch of what the Portuguese left behind. There are historic forts in Diu that you could definitely visit. Here are five pristine beaches of Diu you must visit, because there is no place else that could feel like Ilha De Calma, the peaceful island. 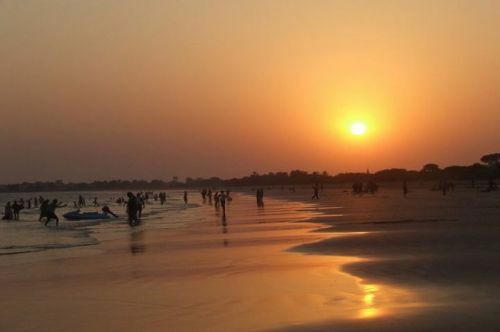 Nagoa Beach is considered to be the most beautiful beach in Diu. It is without doubt the most famous beach in Diu. A swim in the crystal clear water is definitely suggested. You can ride a horse on the shore, do some yoga, or try out some adventure sports. This beach is also home to a unique palm tree that branches, Hoka, brought to India by the Portuguese, Diu is the only place to boast about the growth of these trees. There are a plenty of hotels and resorts by the beach that will take you through a relaxing experience. The Jallandhar shrine is one of the treasures of Diu. The place gets its name from a mythological demon, Jallandhar who was killed by Krishna. There is a stone carved face located at a quick hike up a small hillock. One of the untouched beaches of Diu, the Jallandhar beach will give you the luxury of solitude that most people are constantly looking for. 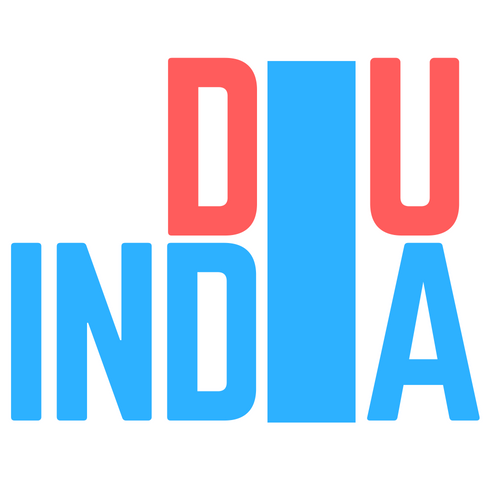 Diu has one of the cleanest coastlines in India. Located near the Diu city, the Chakratirth beach is visited by several people on a daily basis. 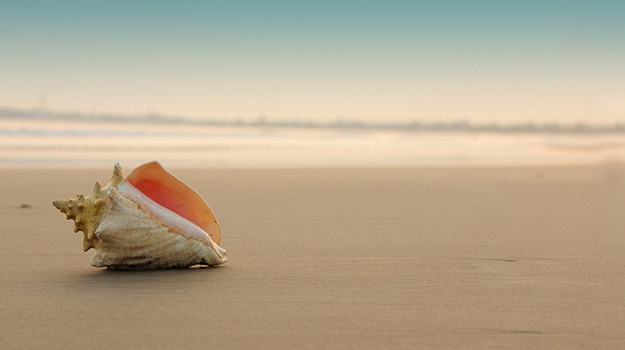 The beach gets its name because of a famous mythological tale. When Krishna killed the demon, Jallandhar, he used his Chakra. In honour of this legend, there is a small temple built with Krishna’s footprints carved in stone. Another absolutely cool part about visiting this beach is that you can walk over to a hillock named Bhanslo during the low-tide to experience solitude at its best. 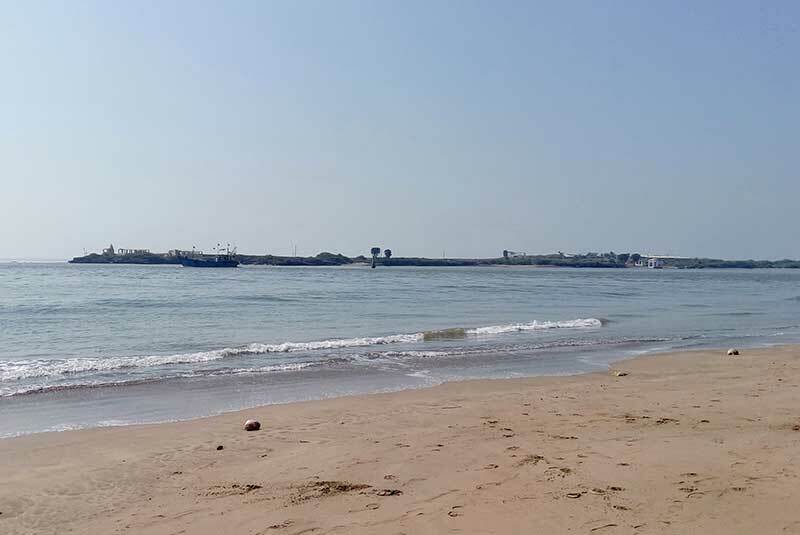 This is one of the other popular beaches of Diu that is flooded by travellers and tourists from around the world. The beach is busy but not overcrowded. You can take a dip in the blue waters, sunbathe, build a sand castle, or play volleyball by the beach. 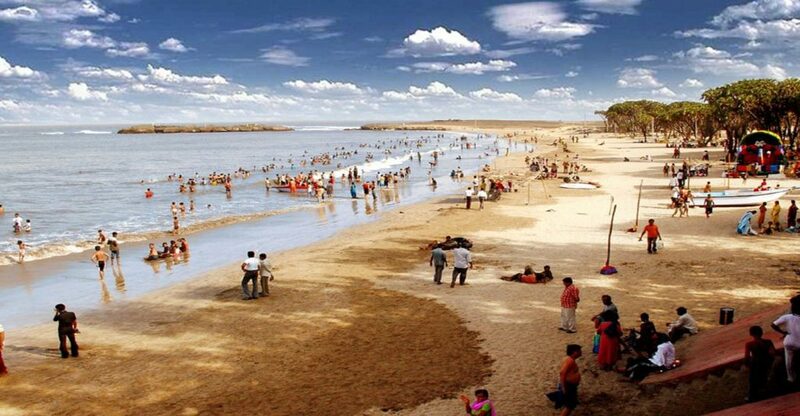 This beach is situated on the west side of Diu and is easily accessible from everywhere on the island. The golden sand at the Ghoghla beach is a complete crowd puller. It is the largest beach on the island of Diu. Parasailing and surfing are some of the options you’ll find with best amenities at the beach. Beach resorts here will help you take care of food and accommodation. If you’re extremely lucky, you will be able to spot dolphins close to the shore.